But for us who just want butterbeer on a regular day basis (though we don’t really what it tastes like), there’s always Starbucks, the brand that’s just around the corner. And they have their own version of butterbeer. The popular wizarding beverage was described as “a little bit like less-sickly butterscotch” with some alcoholic content that’s enough to make house elves drunk and keep Dumbledore’s palette refreshing. It’s supposed to be smooth when it goes down your throat. So, does Starbucks’ version of butterbeer get it right? I went to the nearest Starbucks to check it out. At the counter, I was hesitant whether to tell them it’s butterbeer I want to order. But since the baristas are probably accustomed to screaming Harry Potter fans, I simply told them, “I’d like to get a tall Hot butterbeer please.” Yes, I was that bold and thankfully they understood, asking me if I wanted cream-based or coffee-based, opting for the latter instead. Boy for a drink that’s supposed to cost only 2 sickles in the wizarding world, this ain’t cheap especially if it’s your everyday brew. Perhaps being a muggle comes at a price, eh? First taste: it’s salty. Very salty. And the first gulp going down my throat was just sticky. I feel like I was drowning in caramel. But the flavor is extremely rich I was torn between the whip cream’s cool creamy texture and the strong coffee that’s fighting its way between the cream. And the beverage wasn’t that hot to keep it down. Succeeding gulps? Surprisingly, it went well, as if my throat was finally adjusted to the extremely sweet drink. Although the sugar sank at the bottom and it was too sweet for me. There was a hint of alcohol tangy taste left behind which is just right. Would I drink this everyday? Absolutely not! This is bound to make anyone pre-diabetes. One thing’s for sure, it isn’t refreshing as what Dumbledore said. Quoting the New York Observer, “it’s just two pumps of disappointment.” After all, I don’t recall butterbeer being a type of coffee drink in the Harry Potter series. As promised earlier, here’s Sherbert Cafe’s recipe of homemade butterbeer inspired by the drink that is sold at Universal Studios. Perhaps it’s a better alternative than dropping by Starbucks. 1. In large bowl dump 1 bottle for Cream Soda and stir in about 1/2 – 3/4 Cup of Butterscotch Topping. 4. Open up your tub of Cool Whip. 9. Place the lid back on and stick it in the fridge to await your frozen Butterbeer. 10. To serve you will want to chop up your froze stuff from the freezer and fill your cup lightly about 3/4 the way full with the slush. 11. Then pour some cream soda from the none frozen bottle, over the the stuff until your slush is at least covered. 12. Plop a heavy spoonful of the Froth over the top. It seems to expand a little as time goes by. 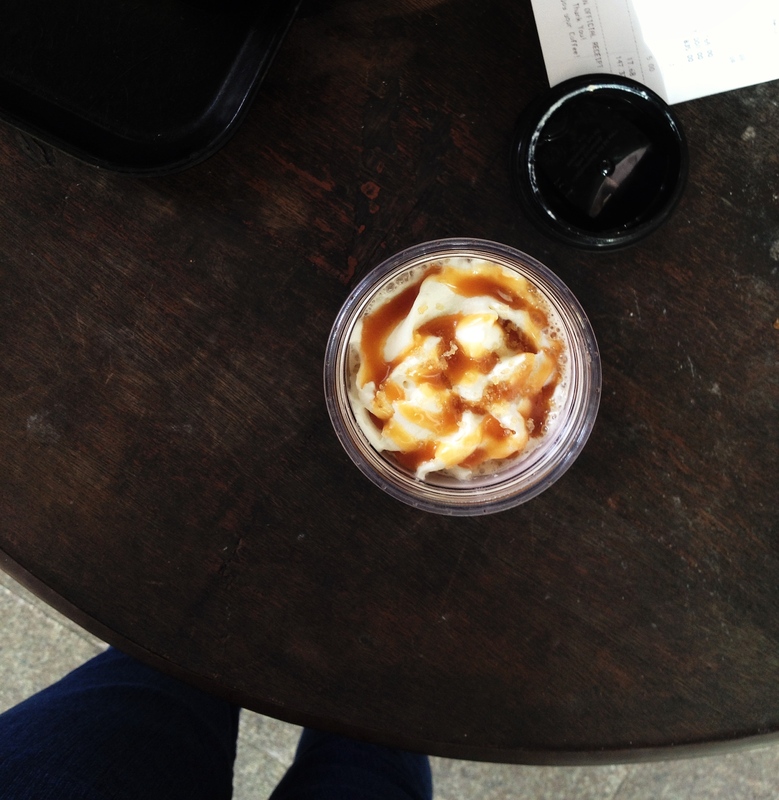 Butterbeer aside, I’d rather have my own DIY affogato. Just get any black brewed coffee and toss McDonald’s vanilla sundae on it. You can share 1 serving of sundae with a friend. And it’s perfect for me. 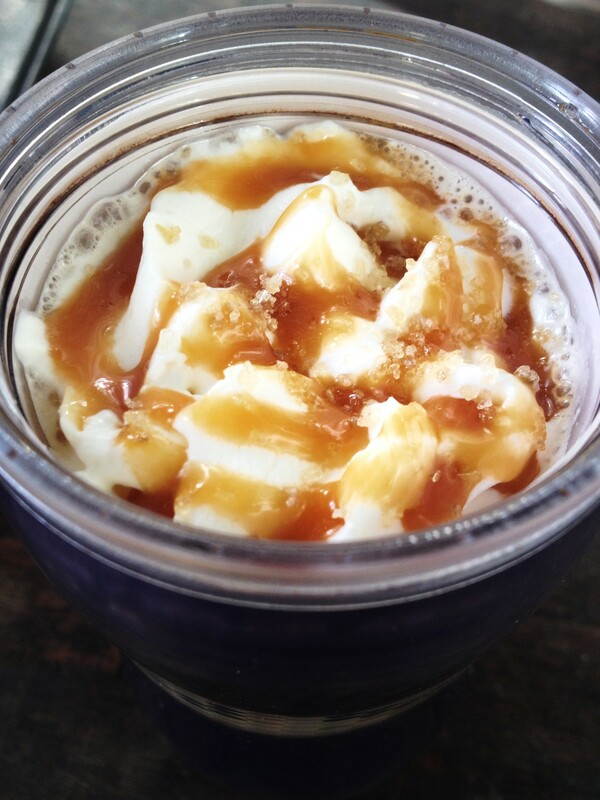 Top it with some brown sugar and you have the cheapest affogato to fix your everyday brew.